So what do you do when you’ve been sent (thank you again TODAY and All-Clad) a brand new, gorgeous slow cooker? You start experimenting with lots and lots of slow cooker recipes. I truly have been making one meal after another in my slow cooker but this is the first time I’ve ever baked cookie bars in one. I’ve made dessert in slow cookers before. Fruit crumbles and bread puddings are so easy, but I wanted to see what would happen if I made up a chocolate chip cookie dough batter, spooned it into the slow cooker bowl and “baked” it. Truthfully, these aren’t really cookies- they’re actually cookie bars and they couldn’t be easier to make. Actually using your slow cooker to make cookie bars is a really great idea. Who wouldn’t want to free up oven space by using this alternative method of baking? Or, what if your oven is broken? You can still have dessert, a slow cooker comes to the rescue. These bars are super easy to make, you just mix up the cookie dough batter, spoon it into your foil-lined slow cooker bowl and walk away. They’re done in a little over 2 hours. These cookie bars are buttery and chewy. They’re full of chocolate chunks and will disappear if they are left unattended – that’s a promise! I made a simple buttercream frosting to spread over the top. An easy recipe and so delicious too. Combine flour, baking soda, salt and cinnamon in a small bowl. Beat butter in a large mixing bowl for 30 seconds. Add the granulated sugar and the brown sugar to the bowl and mix well. Add the eggs, one at a time, beating well after each addition. Mix in the vanilla. Line the bowl of the 7-quart slow cooker with aluminum foil (this will make the bars easier to get out). Spread a little melted butter over the foil. Spoon the cookie dough on top of the foil and evenly spread out the batter. Cover and bake on high for 2-3 hours (mine takes 2.5 hours). Remove the bowl of the slow cooker and place on a wire rack to cool for 20 minutes. Carefully grab both ends of the foil and lift out of the slow cooker bowl. Place on a large cutting board to cool completely. Beat butter for a few minutes with a mixer with a paddle attachment on medium speed. Add the powdered sugar and turn on the mixer on the lowest speed to blend. Once sugar has been incorporated with the butter, increase the speed of the mixer to medium and add in the vanilla extract and the cream. Beat for 2 minutes. If the frosting needs to be thinner, add 1/2 teaspoon more of milk until you've reached your desired consistency. Spread the frosting over each of the cookie bar squares and top with sprinkles if desired. I love that you made these in the slow cooker. I have to try this! You made these in the slow cooker?!? NO WAY!! That’s just too cool! I have to try it. These look fantastic! I’m pretty sure those will impress a bunch of chocolate lovers! That frosting has me literally drooling! These bars look amazing! You’re blowing my mind…cookie bars in a slow cooker! I can’t believe these are baked in a slow cooker! How fun! I’ve been meaning to make desserts in my slow cooker for years and have just never done it yet. This recipe looks simple and delicious! I bet my whole family would love this! Thank you, Marlynn. These bars were so easy to make. They look delicious! I will have to try them with my daughter! She loves to bake! OHHHHH…. I am chocolate addict! Unfortunately, I cannot eat all chocolate desserts since my doctor told me to cut off sugar. I have pre-diabetes so I might try to adjust gluten-free (or unsweet) chocolate. Anyway, thank you for sharing! I love this idea. It’s amazing what you can do in the slow cooker these days! I really can’t wait to try this recipe! I have never used my slow cooker for desserts, but these look amazing. I will have to try them! I’ve never made dessert in a slow cooker. It sounds genius!! Oh, this sounds fabulous! 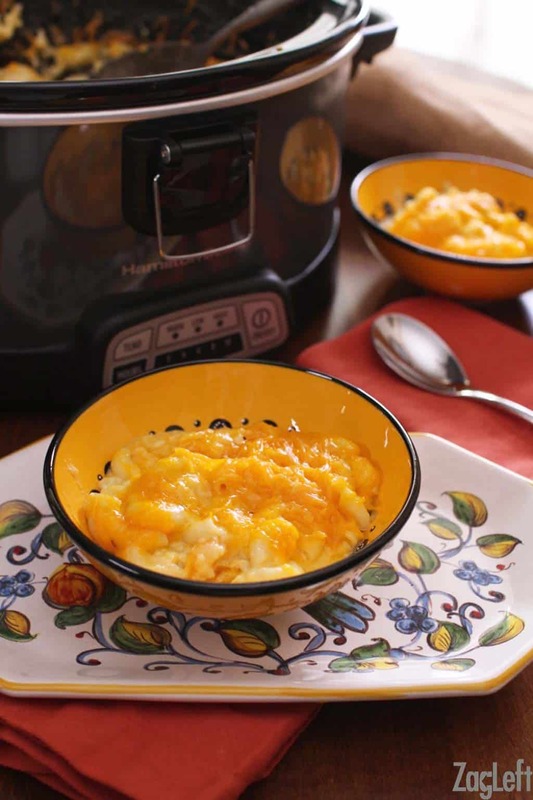 Crockpots to the rescue! Yum! Those cookie bars sound so good! I love this unique crock pot recipe. Your photos of these delicious chocolate chip cookie bars are beautiful. I want one right now! Thank you for sharing this yummy dessert inspiration. I’ve never thought about making something like that in a slow cooker, but these look SO good! Oh yum! I had no idea you could do this in a slow cooker! How amazing are these?! I would never imagine making cookie bars in the slow cooker — I really need to get out more! These will be fun and tasty to try! Nice! Wow I am constantly amazing by the things you can bake in a slow cooker! These look awesome! Wow!! I need to bake something in my slow cooker. I just got a new All-Clad slow cooker and I am totally in love with it. Enjoy yours!! you had me at frosted, and cookie! I am a fan of cookie bars. I am impressed with the crockpot part. These wouldn’t last long at my house. YUM. These look amazing! Bookmarking to make this weekend!! You had me at chocolate chips! My husband would go nuts for these! I had NO idea you could make dessert in the slow cooker, now I definitely need to try it. These cookies look super delicious! Omg these cookie bars look amazing!!!! So need to make a batch myself! I gotta put my slow cooker to good use, love these.